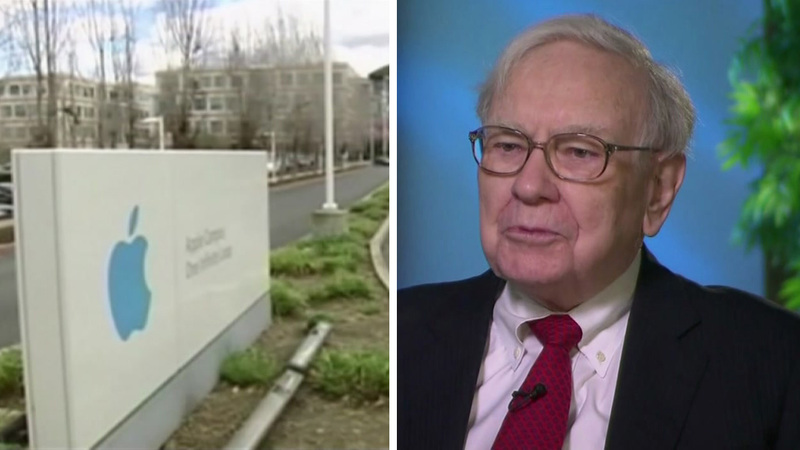 CUPERTINO, CA (KTRK) -- Warren Buffett is looking to make some high-tech investments. The Berkshire Hathaway billionaire just made a $1 billion purchase in Apple, buying 9.8 million shares. Analysts say Buffett's stake in the company is worth about $888 million after the company's stocks slid to just above $90 a share in Monday's trading. Shares of Apple are down 14 percent so far in 2016. Meantime, Buffett is also looking at buying out Yahoo's internet business. Dan Gilbert, founder of Quicken Loans and the owner of the Cleveland Cavaliers, is leading a Buffet-backed group looking to make a deal. Yahoo was worth $255 billion in early 2000, but is valued at around $35 billion today. A series of bad business investments are credited with Yahoo's decline, leading the company to put the internet business up for sale. Yahoo could profit between $5 to $8 billion with the sale of its core business.